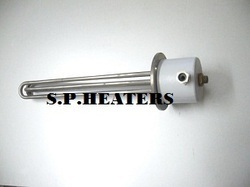 We are engaged in offering a wide range of Industrial Heaters. These are used in various industrial and commercial applications. They are offered at Industry leading prices. Manifold Heater is available in Round & Square cross sections and various sizes and shapes as per customer's specifications. The outer sheath is made of stainless steel. 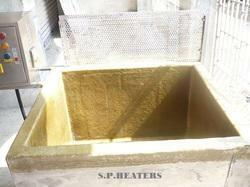 We are also manufacture as per the customer's requirement. 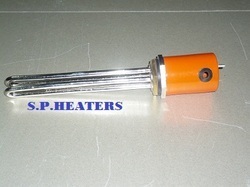 We are the leading manufacturer of a wide range of Pencil heaters. Constructed using chromium nickel resistance wire, these are offered in various diameters, length, supply voltage and Watts, Terminal single and double lead. 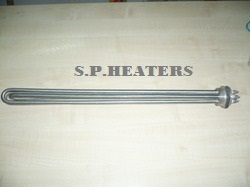 We are also manufacture as per customer's requirement. 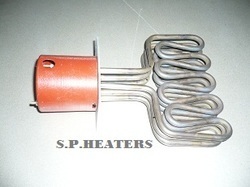 Industrial Manifold Heater is available in Round & Square cross sections and various sizes and shapes as per customer's specifications. The outer sheath is made of stainless steel. 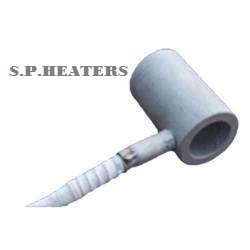 We are among the prominent organizations engaged in manufacturing, supplying and exporting Center Sealing heater(Roller Heater, Dish Heater). All these heaters are manufactured in compliance with international standards and so for the reason highly appreciated by the customers across the region. In addition to this, our experts keep vigil at every stage of manufacturing, so as to maintain higher standards of quality and remove defects. Constructed using chromium nickel resistance wire, these are offered in various thickness, diameters, supply watts and voltage. 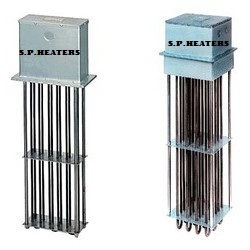 Air Ducts Heaters SP.Heaters make Air Duct Heaters are used for process electric heating, drying ovens, air pre-heating, paint drying and curing, heat treating and more. Various terminal housings and control options available. 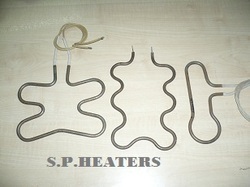 Air duct heaters are designed for heating low-pressure air or gases. S.P. 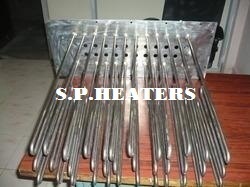 Heaters make series air duct heaters are constructed with stainless steel tubular elements mounted in a stainless/ MS flange with operating temperatures up to 700 C. These electric process heaters can be designed to fit rectangular ductwork and can be supplied with transition sections when used on circular or smaller ducts. 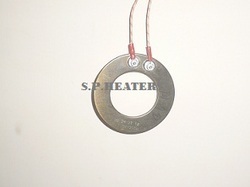 S.P.Heaters And Controllers manufacture Coil Band Heater techniques which allow us to offer cartridge heaters to individual customer specifications while maintaining competitive prices and fast deliveries. 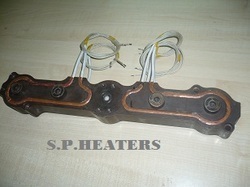 Efficient Hot Runner Heaters: Hot Runner Heaters are manufactured using chrome-resistance wire and helically-would nickel. It has a sheath temperature limitation of up to 800 degree Celsius. Offered in different cross sections, these are highly appreciated for durability and rugged construction. 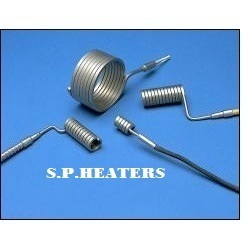 We also provide heaters with in–built thermocouples as per the requirements of our customers. These are available in the market at reasonable prices. 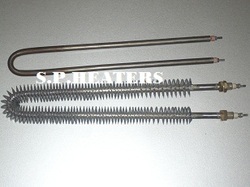 After an intensive pursuit of the present day market, we have set ourselves as the main manufacturer, exporter and supplier of a world class accumulation of Corrugation Heater. Ideally equipped for the commercial enterprises where air heating procedure is obliged, this warmer is manufactured with the utilization of best in class material and refined innovation. 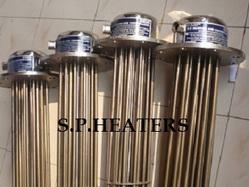 According to the variegated needs of the customers, we give this heater in various determinations. 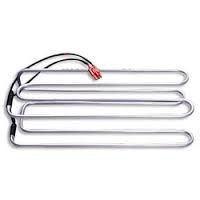 Acknowledged in the industry as a manufacturer, supplier, exporter and trader, we are engaged in offering a wide range of Defrost Heaters. 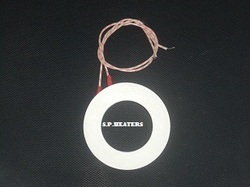 Available in different types depending upon the application, these heaters are designed in adherence to the international quality standards. 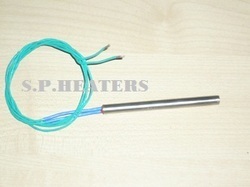 Applicable for heating and disinfecting applications, these heaters are widely demanded across the globe.